Welcome to the musical world of Caitie Hurst who has released her mini album of seven wonderful and glorious tracks titled How Could I Be Silent. The mini album blasts into life from the word go, Caitie gives it some attitude - good attitude. But she has a message to tell you via song and she wants to tell you in the title track. The passion of this lady is obvious from the word go. 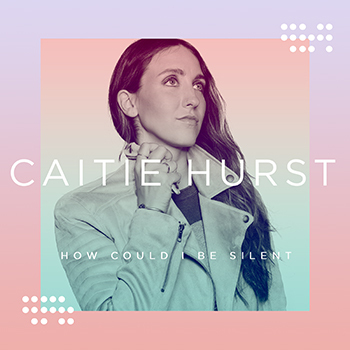 Read More Welcome to the musical world of Caitie Hurst who has released her mini album of seven wonderful and glorious tracks titled How Could I Be Silent. These are songs that are pop music in genre with really bold and strong Christian lyrics throughout . The songwriter has managed to make these songs be raw and very honest, but build on truth without it being, well cheesy pop. These are melodic pop tracks from a powerhouse of a singer. There are so much characters in these songs. 'Nothing To Hide' is about being honest about our failures and that God still loves us. And the song 'Answers' is probably the most honest song I have ever heard written since I have been reviewing music. You don't fully get the answers from the song but it asks a lot of big hard questions that I'm not even sure most artists would be willing or even brave to ask in song. We then move onto the song 'Lights' which has a Mediterranean feel to it and lifts the album, and the song 'Signs' finishes off this album beautifully. I can't recommend this mini album highly enough. Good catchy pop music, good bold lyrics and a great vocal from Caitie. Please check out this artist and see where the future takes her.